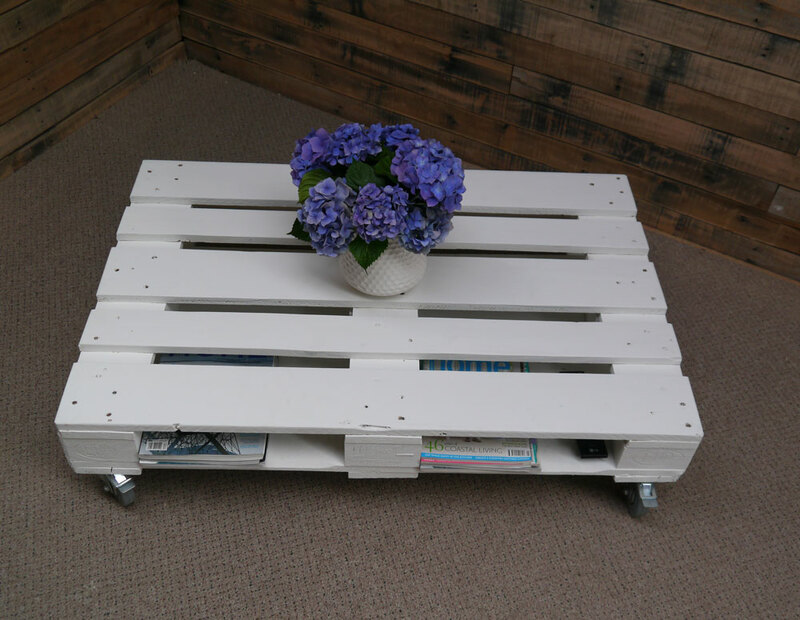 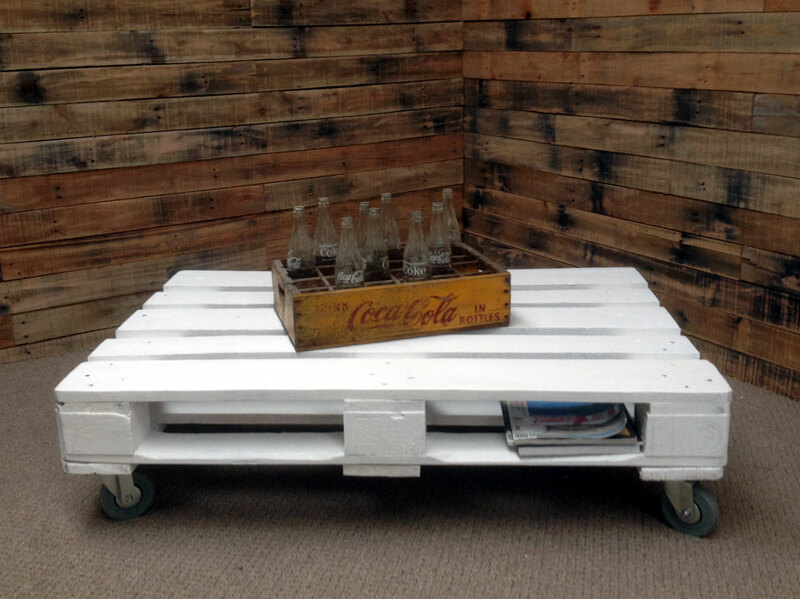 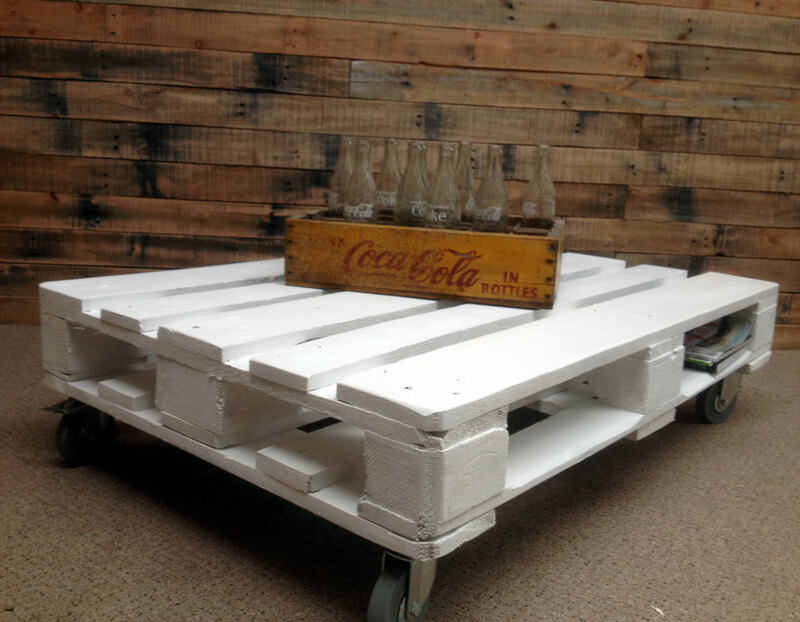 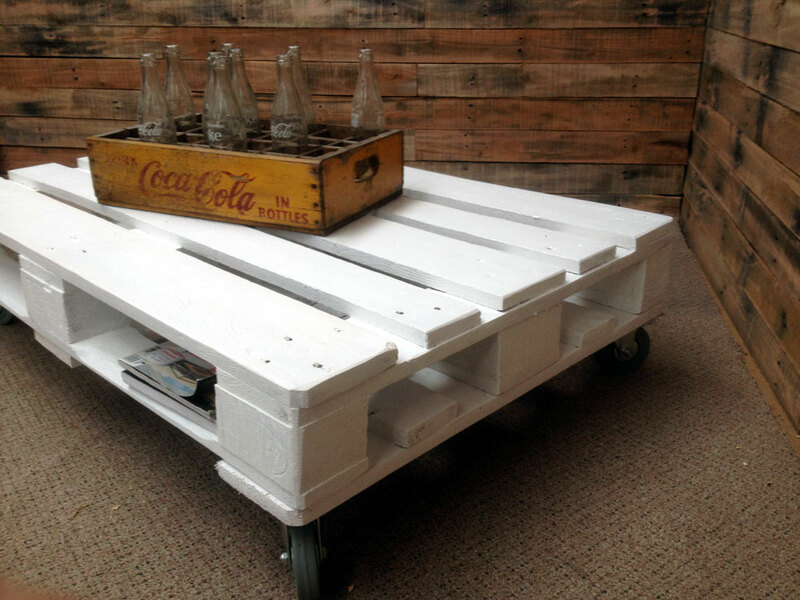 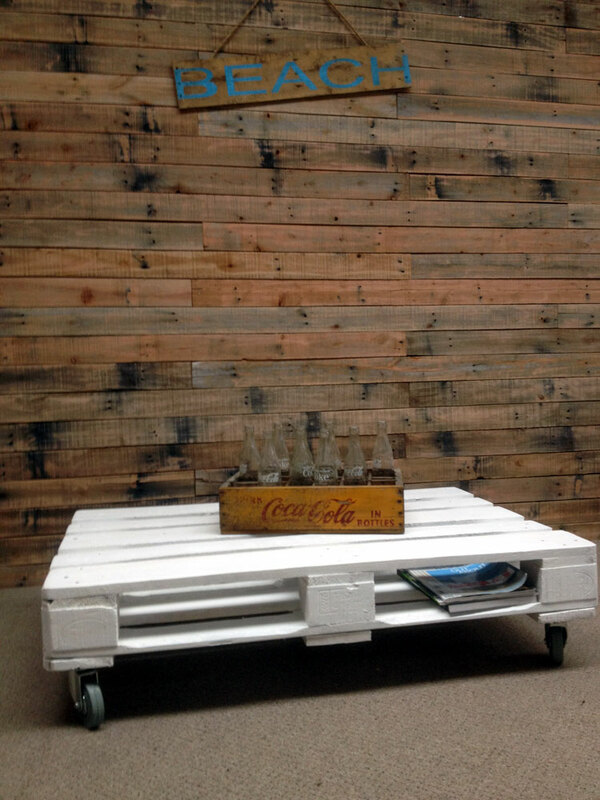 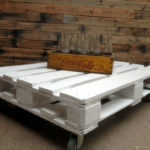 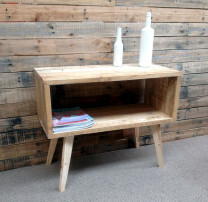 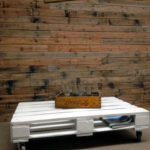 A smaller white pallet coffee table featuring a magazine rack underneath for storage of all your goodies . 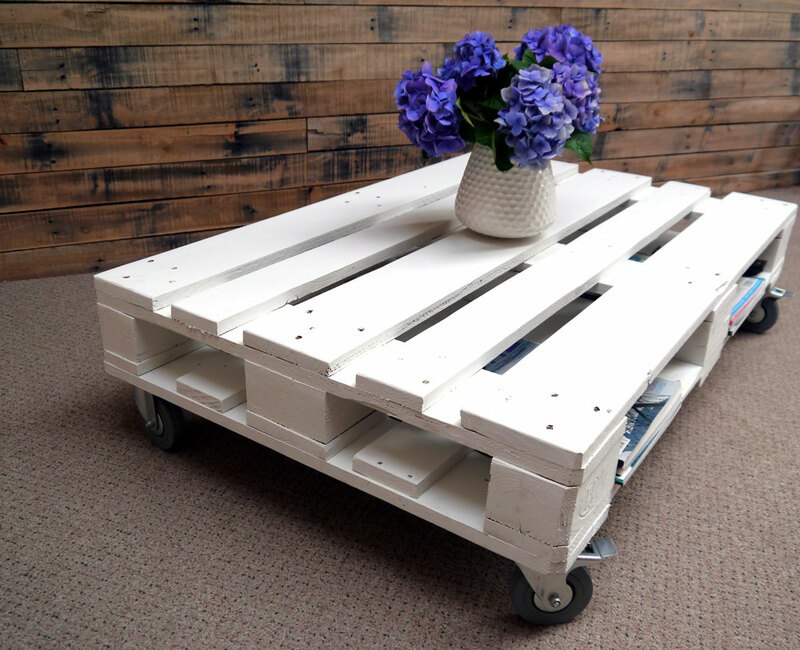 Has large grey rubber industrial inspired castor wheels underneath, all rotate 360 degrees and two have lock latchs to stop table moving. 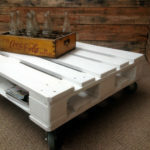 Dimensions: 1200mm by 800mm and 270mm high.